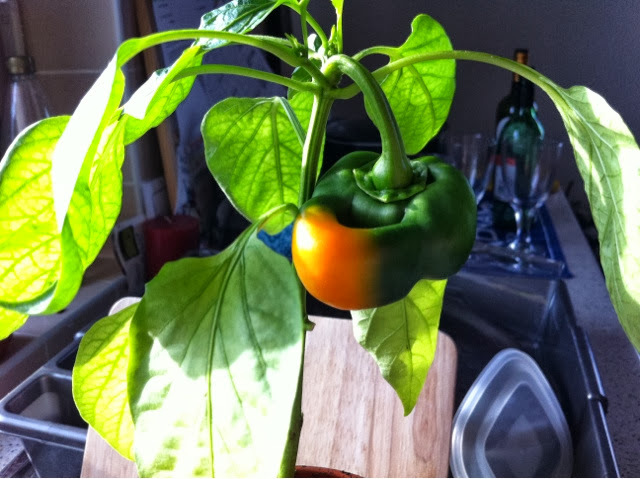 Pepper number one in Pot number two is changing colour! Residents there are said to be beside themselves with glee. Neighbouring Windowsill Owners (NWOs) are visibly envious. Thank you very much - welcome on board!